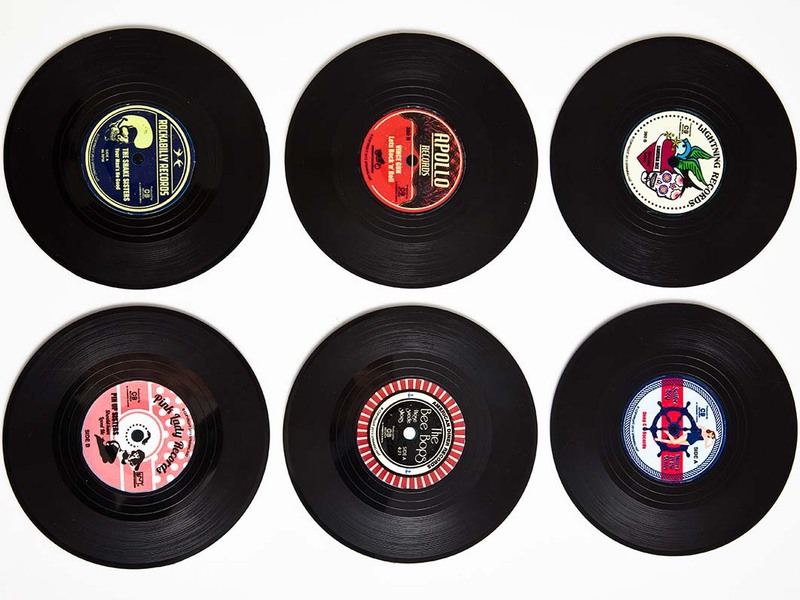 Vinyl records are the epitome of nostalgia. Even now that CDs and streaming have cornered the music market, many people will never abandon the good old LPs. They're still the best way to enjoy the classics, perhaps even while enjoying a refreshing beverage. 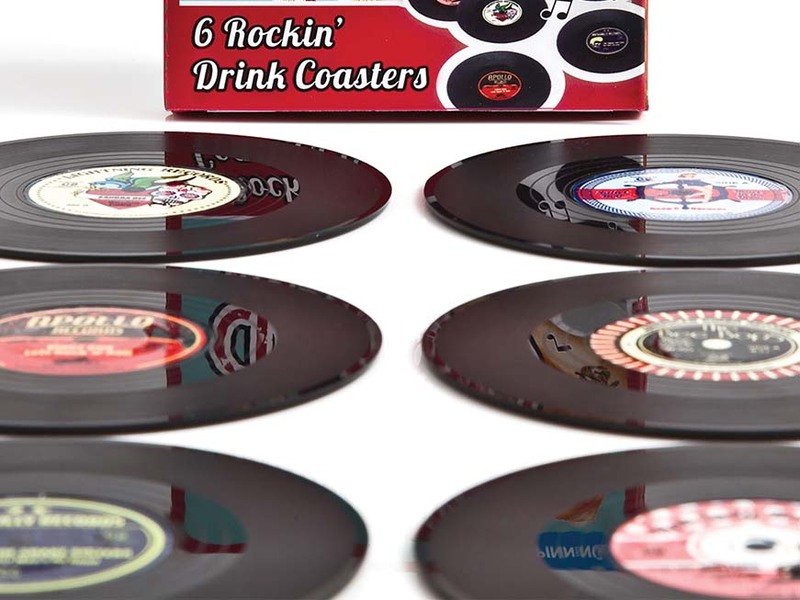 And what better way to truly immerse yourself in the atmosphere than with coasters shaped like old records? 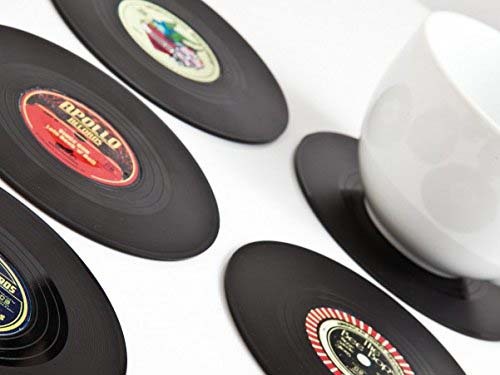 Thanks to the anti-slip coating on the bottom, these coasters are rock-solid. The other side is decorated with a vintage rock label. 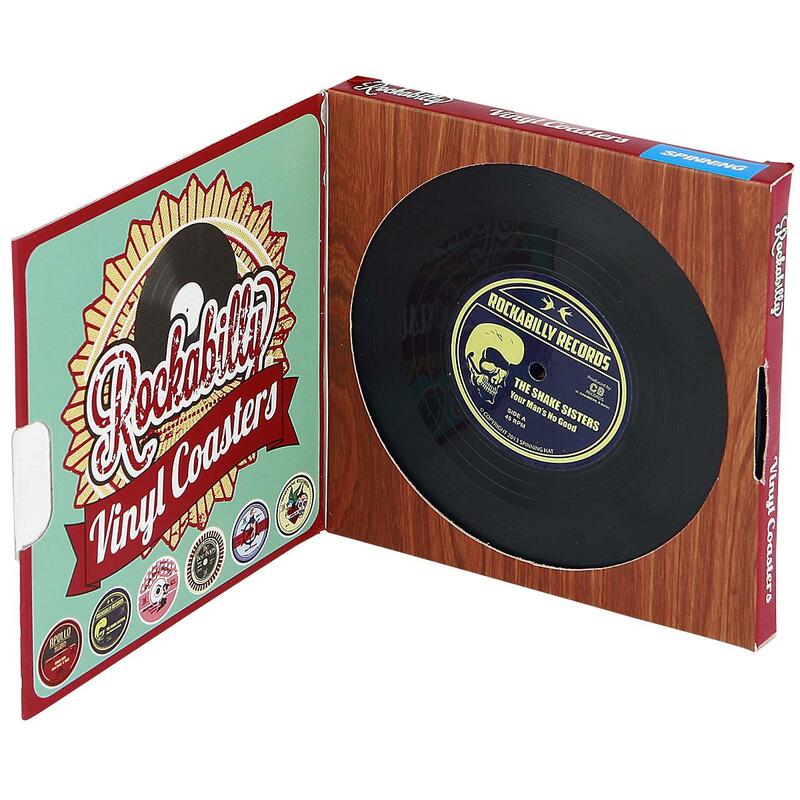 Every single coaster is adorned with a different label, creating an instant record collection. This is the perfect groovy gadget for any old rocker, and perhaps even for some young ones.